Sometimes my Quartz stories migrate over its sister site, The Atlantic. That happened again today with yesterday’s Quartz piece about Modern Family’s brilliant Apple product integration, which was picked up today by The Atlantic. The story got an excellent response yesterday (and this morning) from Quartz readers, so I’m thrilled that it will get new life today. And if you haven’t be sure to watch the “Connection Lost” episode if you haven’t already! This entry was posted in News/Analysis, Stories, The Atlantic and tagged Apple, Modern Family, product placement, Steve Levitan, White Collar on February 26, 2015 by Jason Lynch. In the context of the plot, Apple’s apps, and their familiar sound effects, are as much a part of the action as Claire and the rest of her boisterous family are. FaceTime, Messaging, Safari, iTunes, Reminders, iPhoto and even the iCloud all make appearances at one time or another, but non-Apple apps like Facebook, Instagram and Google also get some screen time. The result is an episode that’s incredibly effective and very funny, without ever actually seeming like an ad. In part, that’s because—surprise!—Apple didn’t pay a cent to be involved. Instead, the idea came from Modern Family co-creator Steve Levitan, who co-wrote and directed the episode. Levitan was inspired in part by a FaceTime chat with one of his college-age daughters. “This came from life and it made sense,” Levitan told the Associated Press. Best of all, because there’s no quid pro quo, the episode is devoid of the usual nonsense that accompanies almost all product placement. You can read much more about the episode, and how it validates a vow that Levitan made to me last summer, here. This entry was posted in News/Analysis, Quartz, Reviews, Stories and tagged Apple, Modern Family, product placement, Steve Levitan, White Collar on February 25, 2015 by Jason Lynch. 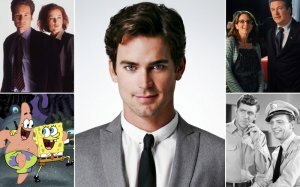 While Eastin has no hesitation about calling this last season of White Collar, USA hasn’t made an official announcement yet, nor has the network announced when the show’s sixth season will air. 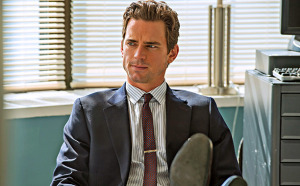 This entry was posted in Misc, News/Analysis, Stories and tagged Graceland, Jeff Eastin, Matt Bomer, series finale, White Collar on June 3, 2014 by Jason Lynch.